Mansfield v Accrington Stanley. 'Steve Evans. Steve Evans is delighted with his summer business and raring to go after his much-needed break ended. 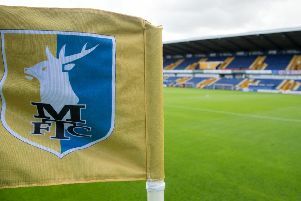 The Mansfield Town manager signed his 13th player of the summer on his return to the ground this week and said: “It’s been fantastic. “We’ve done most things we set out to achieve in respect of my conversations with the chairman and chief executive over the last three months. Some fans had been worried things had gone so quiet after such an early flurry of deals. But Evans said work had continued with Omari Sterling-James secured and two other new faces being chased. “Sometimes if there a big deal it takes a little bit longer and what goes on behind the scenes doesn’t always portray what goes on in front,” said Evans. “It’s like the swan effect isn’t it? You see the swan gracefully move along the water but really its feet underneath are paddling away like mad. “Myself and the chairman and chief executive have spent many hours over many evenings pulling a final few bits together.